You’re getting married and now it is time to let all your friends and family know the date for the wedding day. Our real Bride Jess shares with us her oh so cute DIY save the date ideas that are not only adorable, but budget friendly too. Infact when putting together today’s post it sparked a conversation about what my save the date cards were, and for the life of me I can’t remember! Jess: “When Dane and I started to think about the first stages of planning our wedding we weren’t really sure where to start. We chose the venue and the date which gave us a time scale and starting point. 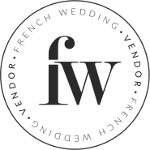 We have now also booked a trip to France in October to go and visit the venue and meet with the wedding planner who is based at the Chateau. The next most important step we felt we needed to do was start making people aware of our plans. With weddings abroad it’s important to give people enough notice to arrange taking time off work and start thinking about flights/accommodation. Also we are having our wedding in one of the busiest times of the year, so the earlier we could let people know the better. We decided to send out some Save The Dates ahead of our invitations. This way we could get a rough idea for numbers of guests. It also meant we could make people aware that more information would be coming as we haven’t planned the full details of the wedding yet (only date and location!). We wanted to come up with something that would be a reminder and a keepsake for family and friends. There are so many creative and unique ideas we looked at. 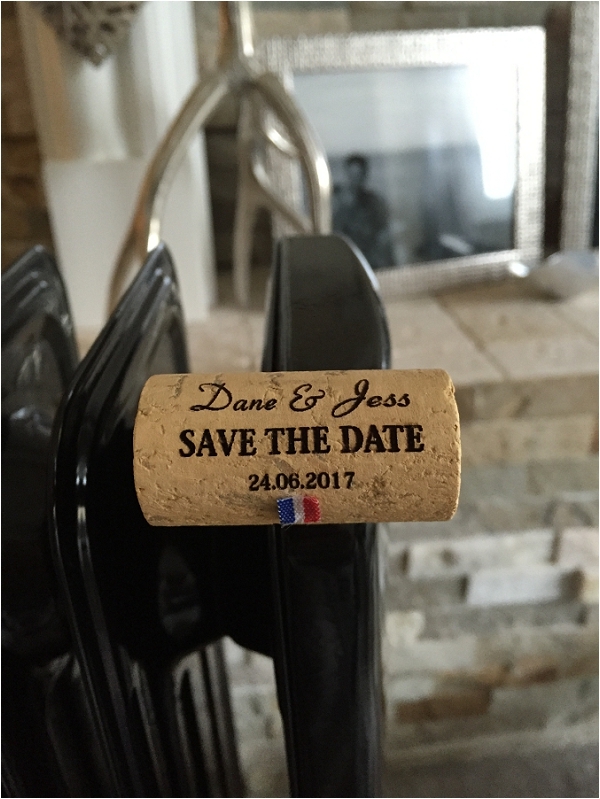 However, with our venue being surrounded by vineyards, we decided an engraved cork fridge magnet would be perfect. This fits well with our rustic elegance theme. I had looked for them online but they were quite costly, so decided to try and do as much of it myself i could. 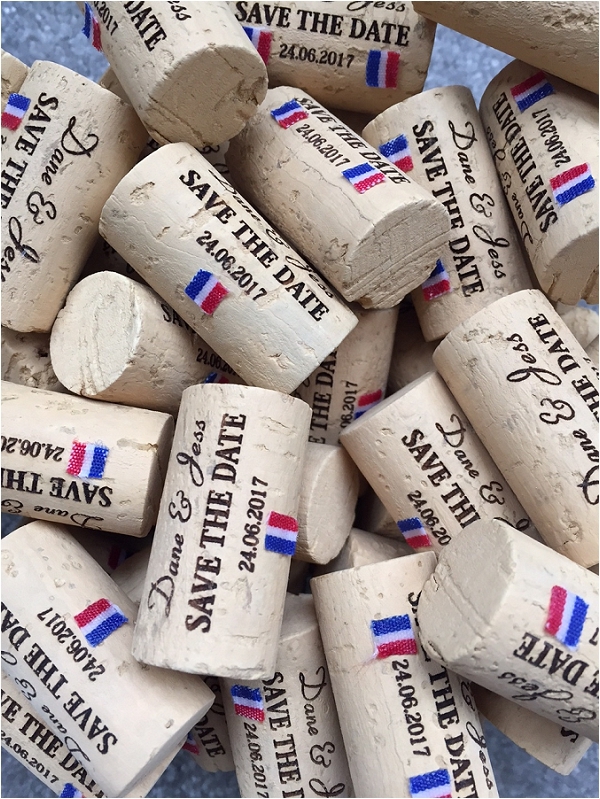 I ordered the corks on ebay and it turned out the seller (areka2015) could also get them engraved too. I was able to chose the font as well as what was written on them. 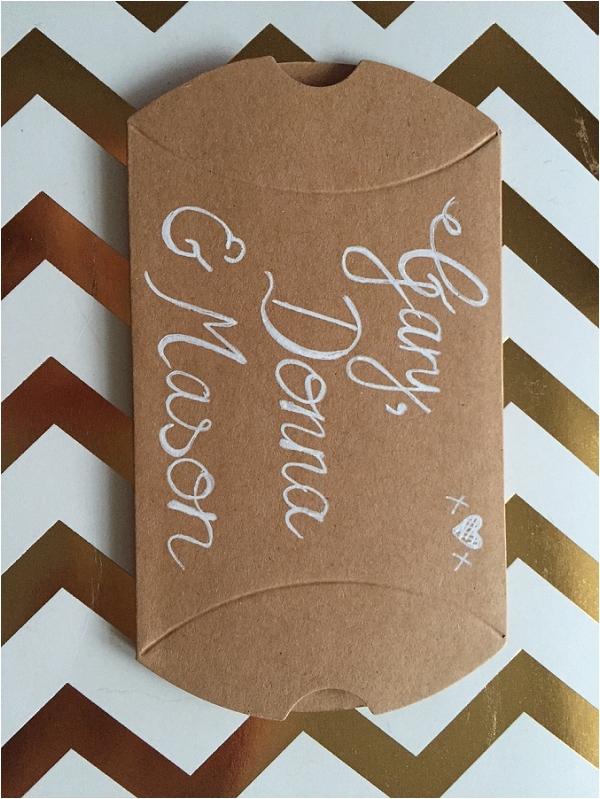 They arrived so quickly – i was really impressed and they looked fab! It definitely shows its worth looking and asking around before paying a lot of money and I am searching why consolidate payday loans. I then ordered some small magnets and french ribbon, stuck the magnets on the back and french ribbon to the front. I had the ribbon idea because I wanted something linking our save the dates to France. Lastly, i ordered some brown pillow envelopes and a white pen. I had a go at writing names in as elegant handwriting as possible…it went OK…maybe need a bit more practice! I wrote a few details on the back inviting our guests and the location – just enough information for people without giving too much away. Doing it yourself definitely saves money and gives a personal touch if you have the time and confidence. We were really happy with how they turned out and how little we spent on them. The most expensive part was sending them to people that lived outside of the UK – it was quite a shock as they were small and light. It has made me re-think the invitations we will send out as want to try and keep cost low and we have quite a few friends overseas. I now see why sending email invitations are popular. If you are looking for ideas and inspiration on planning your wedding in France, don’t forget you can catch up with Belle Bride Jess and you can find all the Belle Brides past and present here.